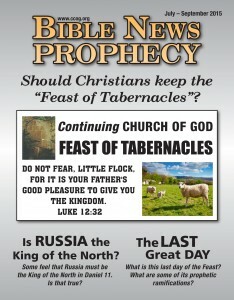 The latest edition of Bible News Prophecy magazine is now available online. 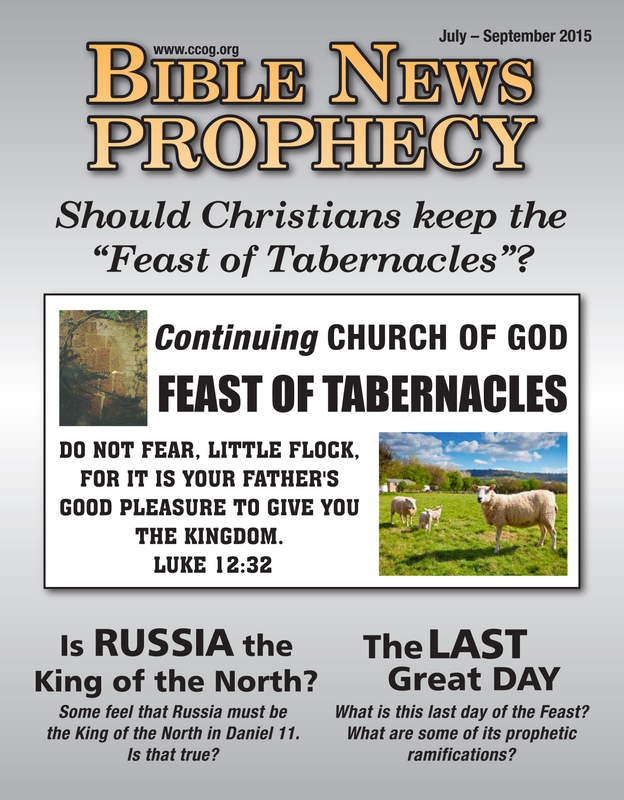 Here is a pdf link to the July-September 2015 edition of Bible News Prophecy magazine. 3 From the Editor: Is Russia the King of the North? Some feel that Russia must be the King of the North in Daniel 11. Is that true? 6 Twenty-Eight Tips for More Effective Prayers: Part 1 What is prayer? What are some teachings from the Bible that can improve your prayers? 10 Should Christians keep the Feast of Tabernacles? What is the Feast of Tabernacles? What are some of the reasons that Christians keep it? 17 The Last Great Day What is this last day of the Feast? What are some of its prophetic ramifications? 21 Study the Bible Course Lesson 6: Utopia! 30 Earth is our Inheritance This article is somewhat of a sermon summary from Pastor Evans Ochieng. This entry was posted on Wednesday, July 1st, 2015 at 12:01 am	and is filed under COG News.